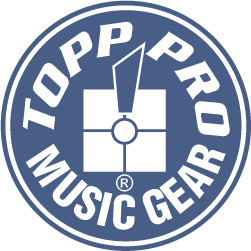 Direct Imports distributors a selection of products under the TOPP PRO brand from one of China’s leading OEM & ODM manufactures. Seikaku Technical Group was founded in 1985, it is a professional company that designs, produces, sells and services PA (Public Address) System, and Speakers. Its production factory is located in Dongguan City Guang-Zhou Prefecture, China. Seikaku was first founded in 1971 in Taiwan, specializing in P.A. system equipment and electronics. In 1985, Seikaku Technical Group Limited was formally established. In 1990, Seikaku purchased around 50000㎡ of land, and Jing-Heng production factory was set up. In 2002, Jing-Heng factory expanded by another 55000㎡ by setting up wood workshop, metal workshop and plastic injection plant. In 2004, 1st stage construction was completed for Shi-Chen Factory, woodwork, metal workshop and plastic injection plant divisions were launched. In 2006, IPC production standard was introduced into the factory, to raise the level of production crafting. In 2007, Group Technical Centre was established; high level RD staffs were employed for specialization in technical tooling innovation, for company products. In 2009, 5.8GHz Wireless design project was launched. In 2010 a completion of their internal design and development of digital effects module was completed which is broadly used in all their mixer range today. In 2011 their 1000W Class-D module was developed with numeral programmed amplification, and PFC design. This amplifier module is now broadly used in active speakers, power mixers and amplifier products. In 2013 their first digital mixer with easy to use operation interface was introduced to the global market; CabraNet Digital Audio Transmission System successfully designed and developed internally, and used widely in Seikaku’s active speaker cabinets and digital audio processors.